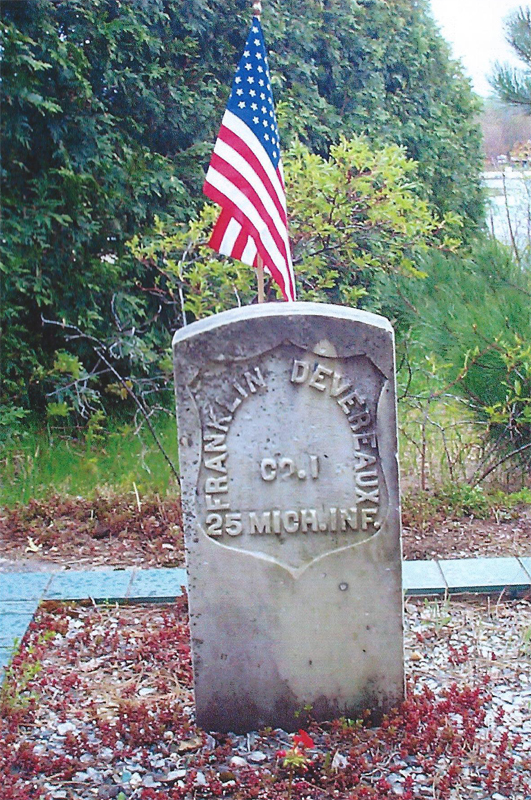 Gravestone and wooden marker, marking the grave of Franklin Devereaux, on the shore of Devereaux Lake, just off M-33 and about twelve miles south of Cheboygan. 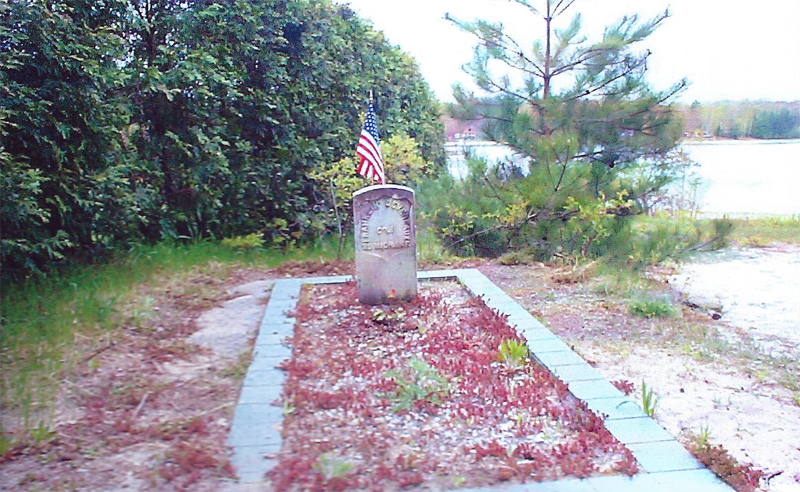 Devereaux served in the 25th Michigan Infantry in 1862 and 1863, he was found dead of a fractured skull at this site. Nearby was a dead bear. It was theorized that Devereaux had shot the bear but that the bear, althought fatally wounded, had then killed Devereaux. One of the markers at the grave was dedicated on September 7, 1930, by the local American Legion. 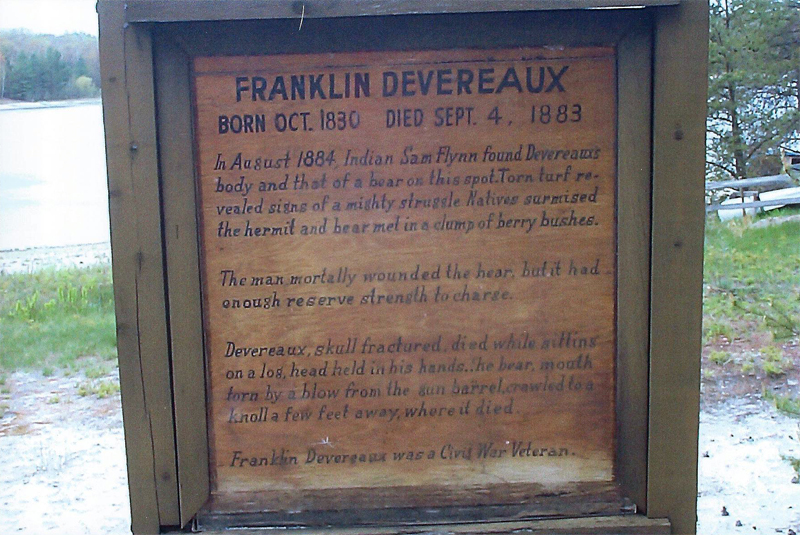 At the time it was believed, probably incorrectly, that Devereaux was "the only man in Michigan ever killed by a bear." " Historical Markers and Memorials in Michigan," compiled by Andrus in Michigan History, 15:202-203; Lansing State Journal, July 12, 1965.